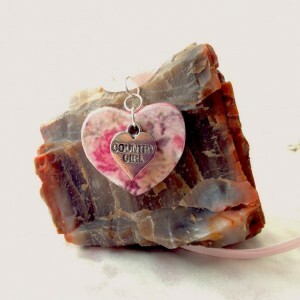 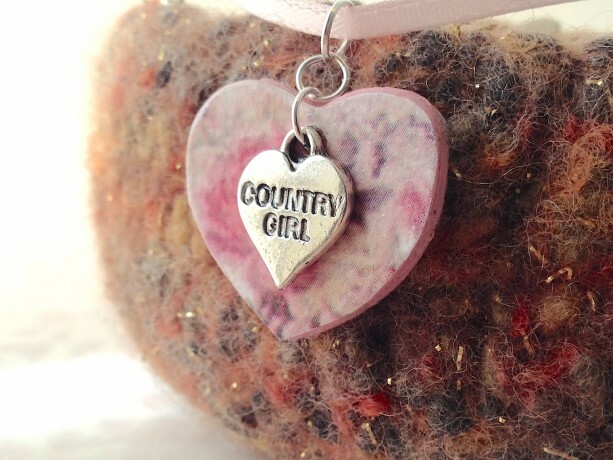 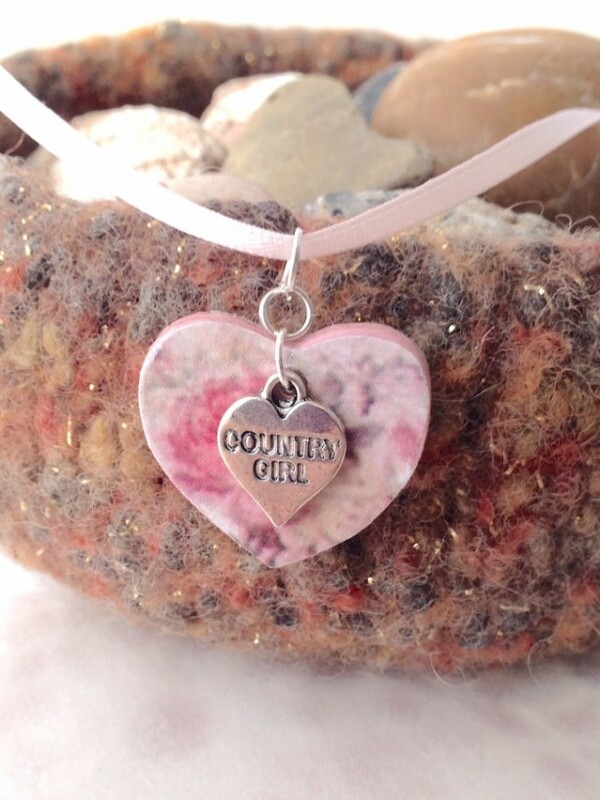 For the Love of the Craft Mixed Media Pink Country Girl Heart Charm Pendant This Mixed Media Heart Charm pendant is beautiful in its simplicity making it casual enough for everyday wear. 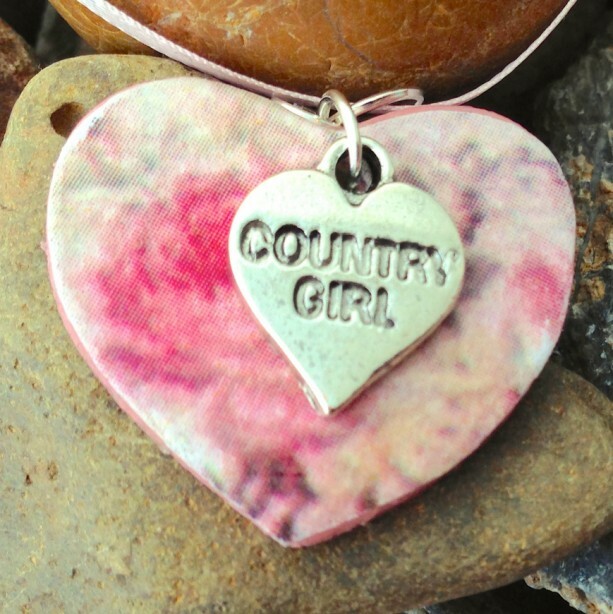 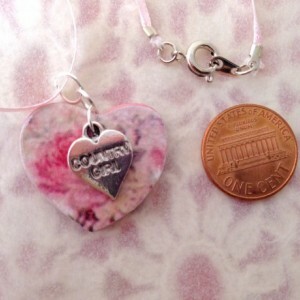 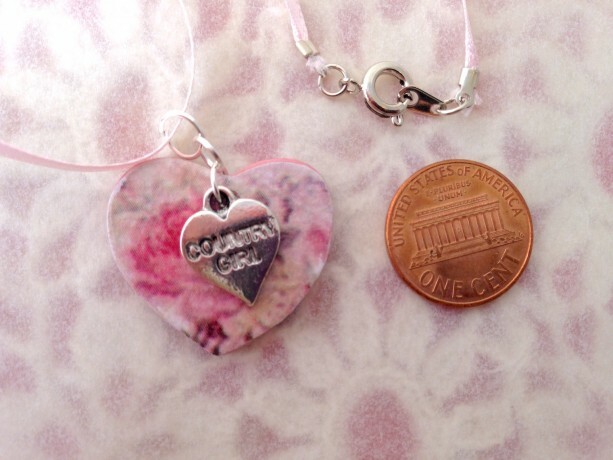 It is made with a pink acrylic painted heart decoupage with pink floral paper and a silver-plated charm engraved with the words Country Girl. 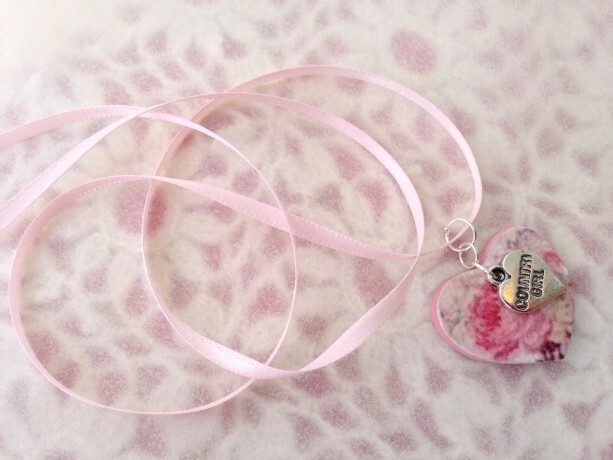 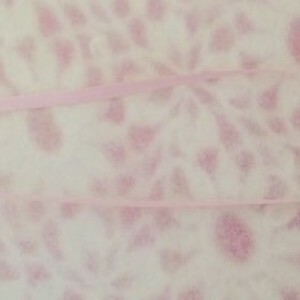 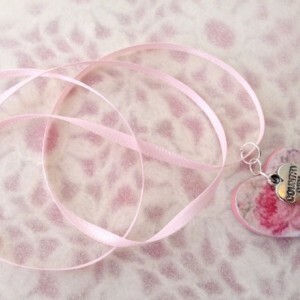 The charm has been stung on a 24” inch long light pink ribbon to accentuate the beauty of the wooden charm. 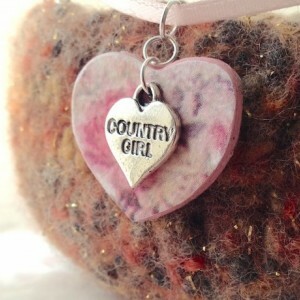 The wooden heart is 1” inch wide by 1” inch tall. This very pretty pendant is the perfect piece to add to your collection to show your unique fashion style. 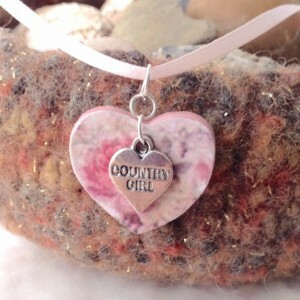 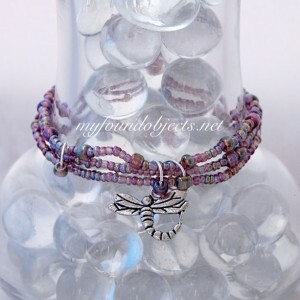 This beautiful Mixed Media Charm Pendant makes the perfect gift for someone special!